Microsoft's new program for entrepreneurs is a cool opportunity for people who have an excellent idea for a commercial application for the Kinect motion-sensing input device but haven't actually brought it to fruition. The company announced Friday its Kinect Accelerator program, which will choose 10 people or startups to spend three months in Seattle where they will receive $20,000 and help from successful businesses, investors and Microsoft executives. So, if you've ever used your Microsoft Kinect for anything other than playing Xbox 360 games, watching TV and movies or listening to music, you might be able to turn your hack into a business and profit from it -- if it's good enough, that is. If you're one of the lucky few to be chosen, you'll need to give TechStars, the seed funding organization partnering with Microsoft on the program, a 6 percent equity stake in your business. Applicants have until January 25 to apply. If you'd like to try hacking your Kinect but you’re not sure how, PC World's David Daw offers a useful guide and video showing how easy it is to get started. This hack makes a little dancing monkey copy your every move as you dance around. The project, by Ralph Kistler and Jan Sieber, uses a stuffed animal toy that is hooked up to 10 servomotors, which are also connected to an Arduino microcontroller. The monkey also has a firm metal skeleton frame to make him bend like a human. Further OpenNI Framework and OSCeleton coding lets the Kinect pick up the monkey via a hidden computer. With the Kinect camera on its head, the toy is suspended and voilà -- he'll replicate your movements. 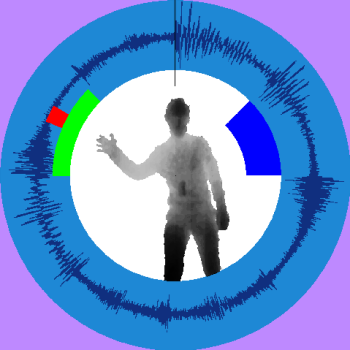 The Kinect BeatWheel was developed by Ryan Challinor for music producer and DJ wannabes. The hack controls which looping-sample beat is playing and how it behaves with a movement of your arm. It works by cutting up a sample into eight note slices and displays them in a circle around your body. You control the playing segment by moving your left hand, and by rotating it clockwise you can keep the track playing over. You can also use your hand to adjust the tempo. 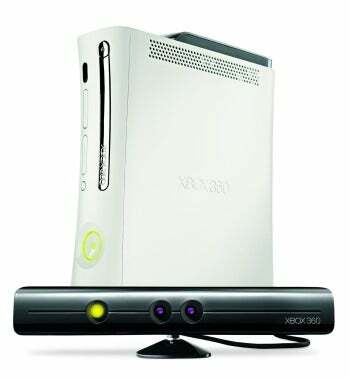 Win&I by Evoluce is software that connects Microsoft's operating system with the Kinect to eliminate the need for a mouse. This hack uses the Kinect, connected via USB to a computer, to track hand gestures so you can control your desktop or programs such as Microsoft Office. The Kinect can pick up the gestures from 4 meters away in just about any lighting conditions, and doesn't require any calibration. Gestures are as simple as how you would work a tablet device with your fingers, except using your whole hand. This hack, pulled off by open source developer Kevin Connolly, used the Kinect SDK and involves a KinectNUI set up with a Windows 7 PC displayed across six monitors. Connolly shows off what his two-point multitouch system can do including scrolling, drag and dropping, zooming windows to all the screens. The windows also move in tandem with user and applications can be selected though a pie or radial menu. Over the course of about two weeks students in Carnegie Mellon's Special Topics in Interactive Art & Computational Design course hacked Microsoft Kinect cameras for class credit. Two of the students, Nisha Kurani and John Horstman, devised a way to draw the Boo ghost from Super Mario Bros. in the video frame, and do it in such a way that Boo would always be in your blind spot (i.e. behind you).